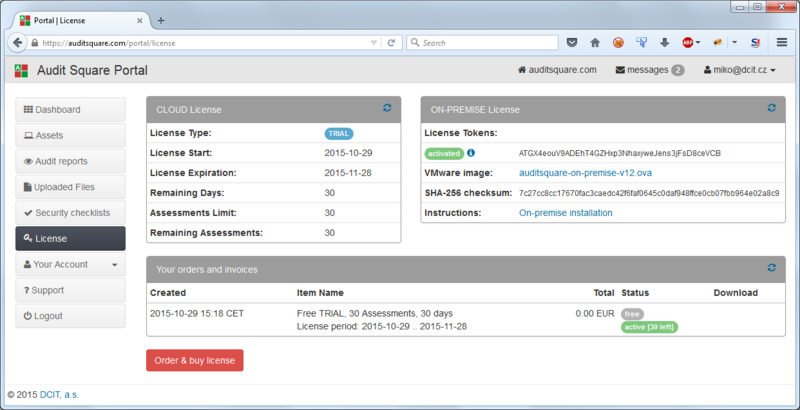 Audit Square On-premise is delivered as a pre-installed virtual appliance. 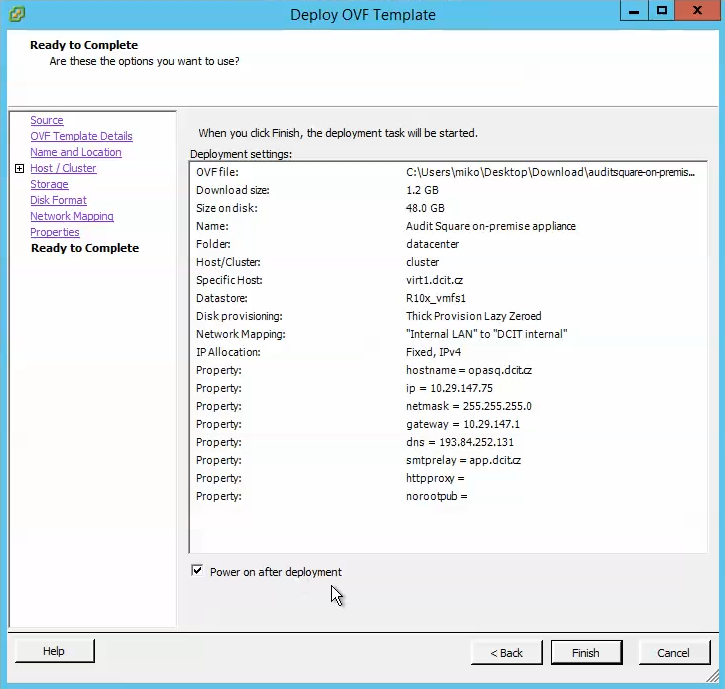 Technically it is distributed as a single VMware OVA image file. 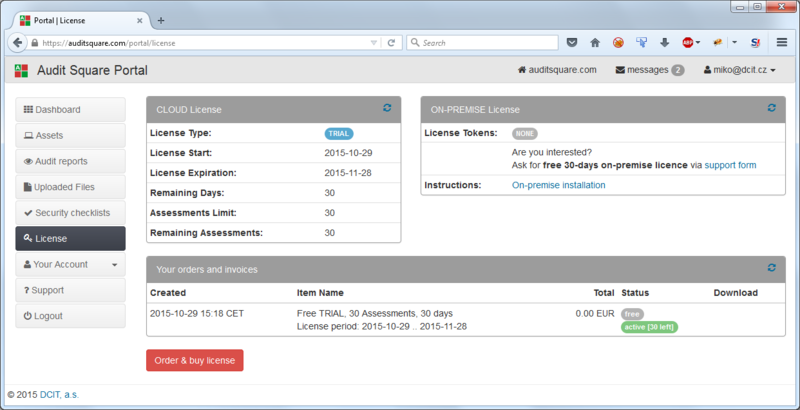 First of all you need to have an account on our auditsquare.com portal. If you log in and choose License menu, you should see something like this. At this point we recommend to log in as a root and change the password (please note that root user can only log in from console, not via network, so the risks of keeping the default password are not high). 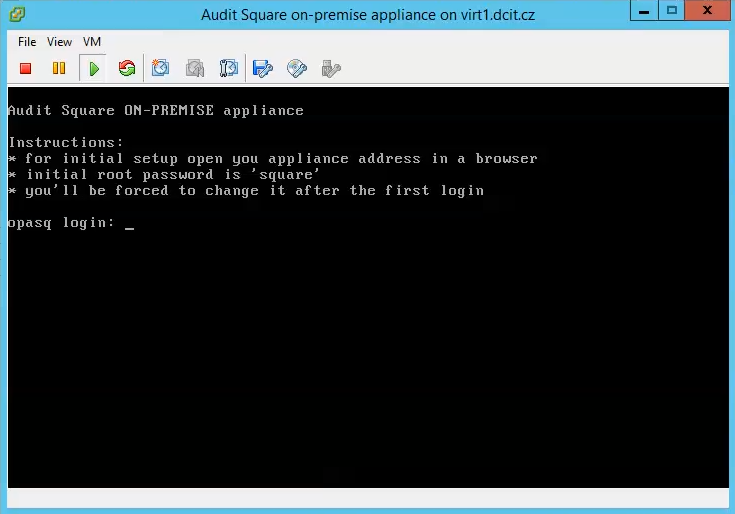 Q: Does on-premise OVA image work with VMware Workstation? 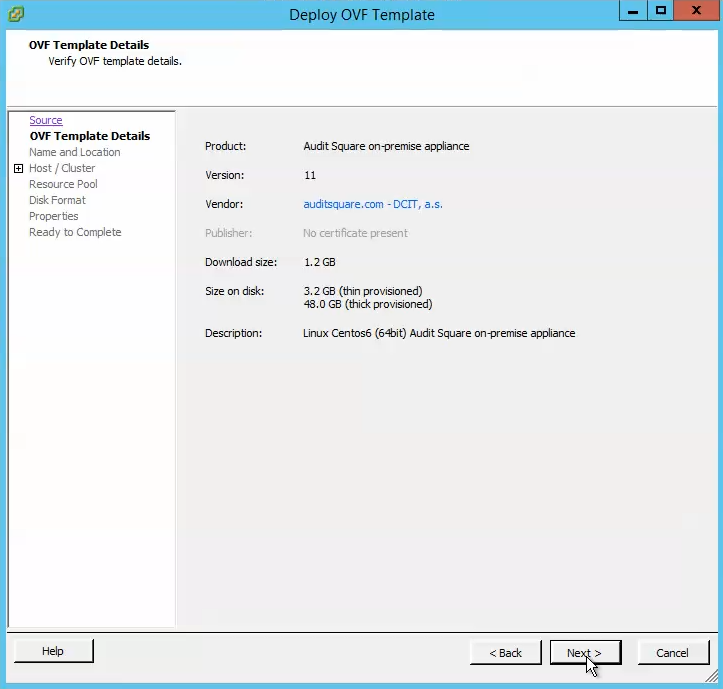 A: Our OVA image unfortunately does not work with VMware Workstation because we use some templating features which are not supported by VMware Workstation. 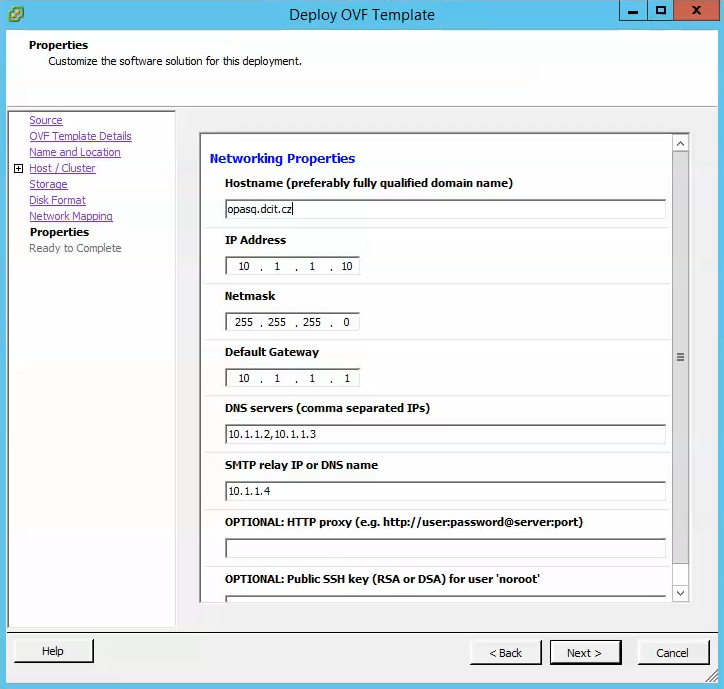 It is not intentional but without those features the setup via vSphere Client wouldn't be so easy.